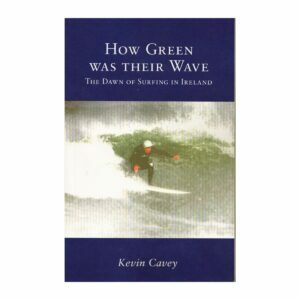 New book “How Green Was Their Wave” by Kevin Cavey, official launch in-store on Nov 30th. The book is an exciting history of the dawning years of Irish surfing and the people involved. A reception will be from 7pm with light refreshments being served before a brief introduction by Brian Britton & Roger Steadman. Surfing film footage from the archives will be shown on the evening. Copies can be signed by the author on the night.